I wanted to write a great deal about this book but I seem to have at a loss of words now that I'm getting round to review it. Hitler has risen to power and Germany is at war. 19-year-old Ariana von Gotthard loses her home and family. She is only left with her mother's ring, the only bond connected with her family. Like her father she hates the Nazis. Having saved her life twice, Lieutenant Manfred von Tripp, lets the now homeless girl stay in his house. Soon they fall in love and get married. During the fall of Berlin, however, Manfred is killed defending the Reichstag. Now there's nothing left for Ariana in Berlin. A tiresome journey lands the now sick and pregnant girl in New York. Thinking that Ariana is a Jew too, a Jew called Paul Liebman marries her. Now it's too late for Ariana to tell them the truth about her being German, her previous husband being a Nazi officer, and her unborn child. This book is really touching. That's a really awesome cover! I've read some Steel, but not a lot. 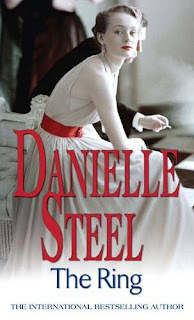 You know the weirdest thing, I've never read any of Danielle Steel's books yet. Your review tempts me to read this book. I had given up on reading Danielle Steel books because I became so emotionally weary. She put her characters through so much trauma that I couldn't take it anymore. I'll have to revisit. Great review! Brandi & Kate: This was my first Steel book too. I'm planning to read another one soon. Reflections of a Bookaholic: Thanks for visiting my blog. You'll find me in your blog as a follower soon. I hereby would like to give you the 7 fact award.